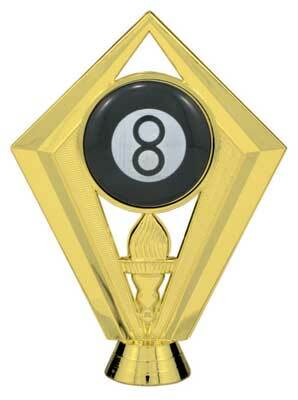 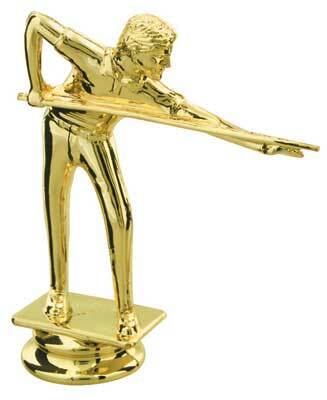 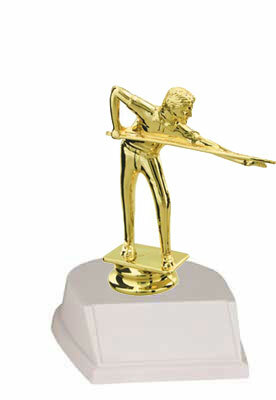 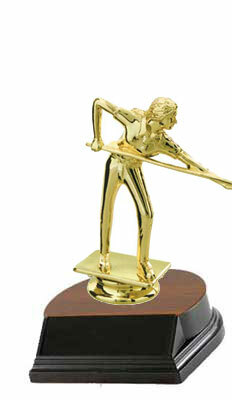 H & R Trophies offers you a nice selection of billiard trophies. 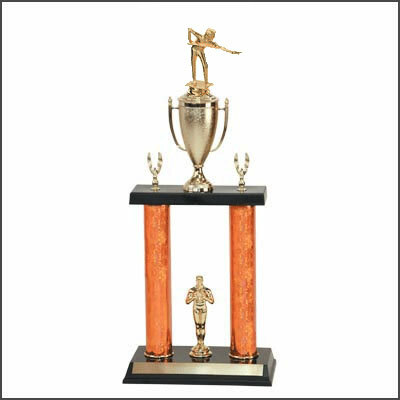 You can choose from trophies with just a pool figure and base, single post billiard trophies with round or square columns, double post column trophies, triple post column trophies or the large four post column trophies. 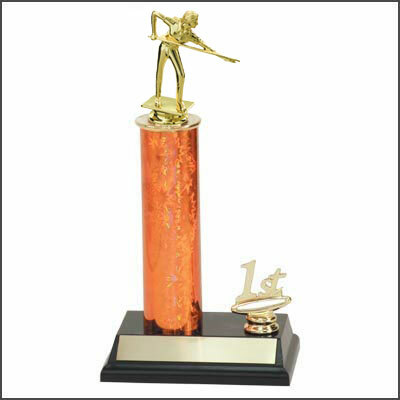 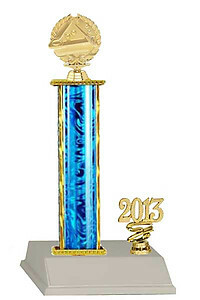 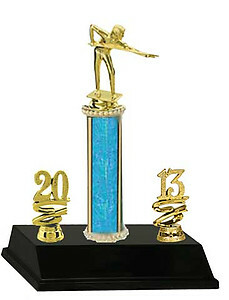 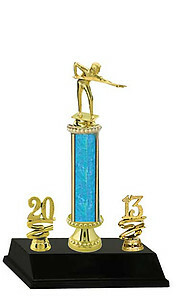 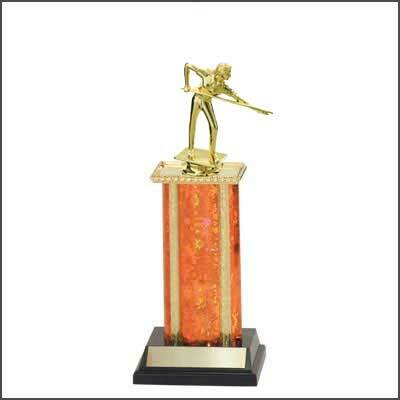 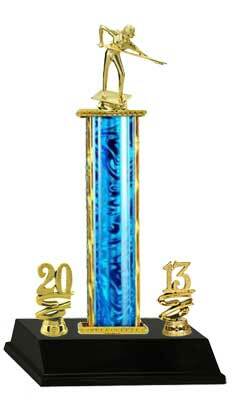 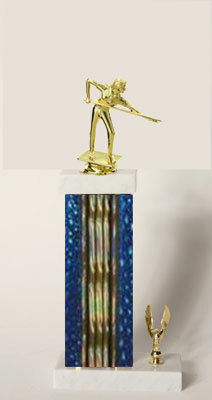 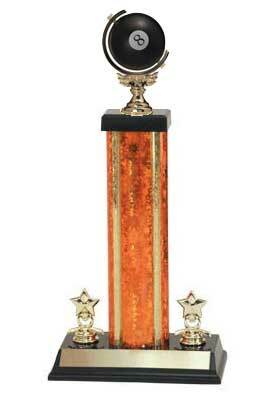 We offer many different sizes and styles of pool trophies. 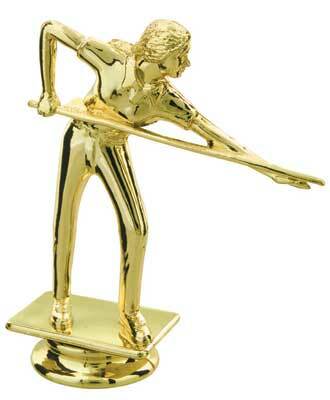 Check out our resin line of products. 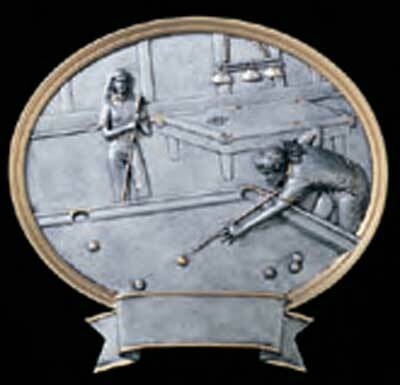 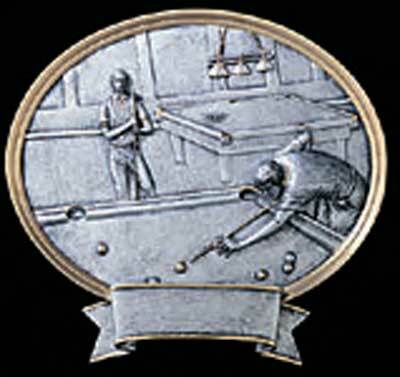 To find out more about our billiard awards click on a pool figure below. 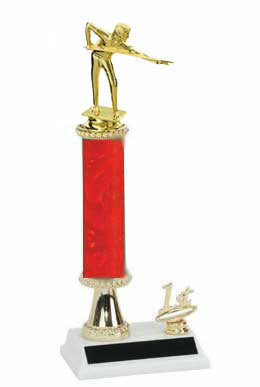 All trophies come with 40 characters of FREE engraving, anything over that is $.07 a character.